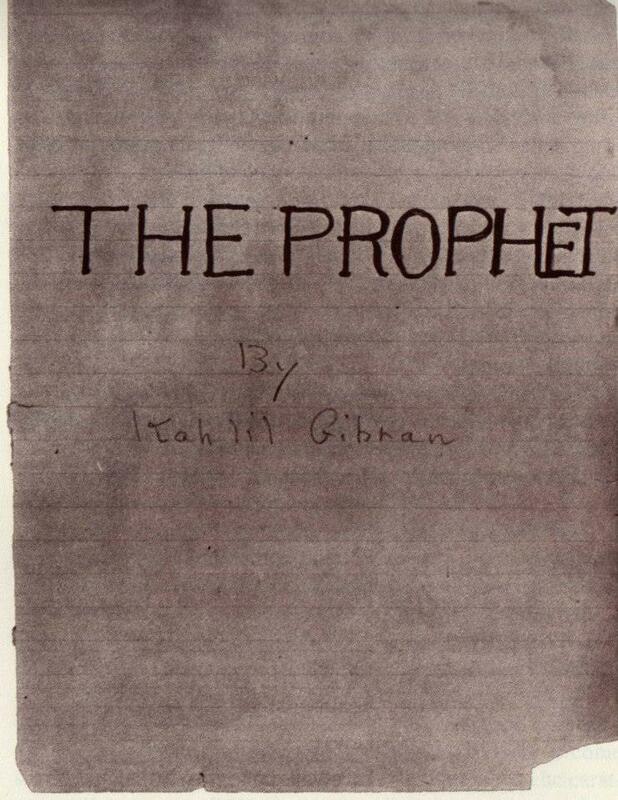 Not long ago I was asked to verify the official number of translations of Kahlil Gibran’s crowning jewel, The Prophet. This was not the first request of its kind, but it came at a serendipitous time, where the right partner (my fellow researcher Francesco Medici), tools and information were aligned in such a way as to provide both the desire and motivation for this undertaking. What we found was no less than awe-inspiring. This is why a handful of researchers, including myself, have long lobbied for reliable fact-based studies that will finally give some concrete ground to the widely recognised claim today that Gibran is one of the "most read poets in history." And now, upon completion of our initial research, we are pleased to announce our discovery: Kahlil Gibran’s The Prophet has been translated over 100 times, making it among the top ten most translated books in history! To put the book and our research into perspective, let’s peel back the remarkable publishing and translation numbers that existed before this study occurred. 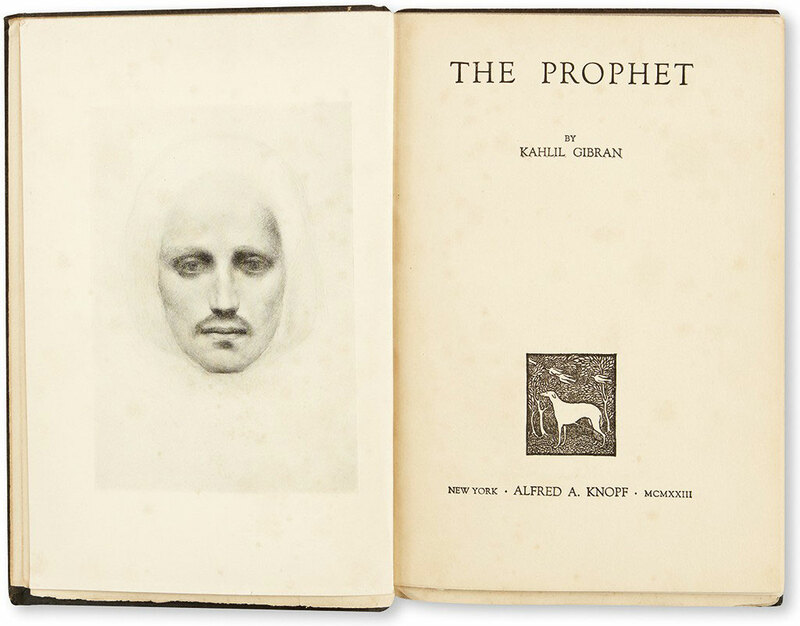 According to its publisher A. Knopf, The Prophet, first published in 1923, has been reprinted an astounding 188 consecutive times in its 95-year history, making it one of the longest-running of any published works with an estimated worldwide readership of 100 million. I says “estimated” because some countries, for example in parts of Southeast Asia, have not adhered to copyright laws and so readership there may be much more widespread than we think—in fact, these are just some of the regions where I have found that Gibran's readership is growing in large numbers and not showing any sign of slowing down (for example, China alone boasts at least 15 full and part translations of The Prophet). As this timely study coincides with the end of the publisher’s worldwide copyright privileges, we expect the numbers to keep climbing and wanted to have the current number officially on the record before that happens. After 95 years, publishers Alfred A. Knopf, now owned by Random House Penguin, will no longer have copyright authority over the original works in English by the end of 2018. This means we can expect to see many more iterations of The Prophet and related material around the world, beginning in January 2019--an exciting prospect indeed! My colleague and fellow Gibran researcher Francesco Medici and I always knew Gibran's readership was larger than estimated, and so we began our search by tapping into online library archives and our international networks in search of the numbers. What we found has far, far exceeded our expectations and surprised even those who thought they knew all there was to know about Gibran! To our knowledge, no such comprehensive study has been conducted up until now, at least not by an academic or private institution. Furthermore, this study has not analysed each translation in greater detail, and the debate and discussion on the authenticity of each individual text is a whole different study in itself. We have simply tallied and collated to reach a base number of available texts from which we have a solid foundation to build upon. All translations in this study were counted based on first editions only, and we have verified each listed work by citing at least the writer and publisher of the text. We did not, however, have the capacity to review the full contents of each work individually, nor test the accuracy of the poetic message and how that relates back to the virtue of the original. Furthermore, it is difficult to tell if the translators translated the work from the original English form or some other language. In summary, we solely focused on the existence and authenticity of the publication itself. We began at The Kahlil Gibran Museum in Lebanon under the guidance of Mr. Joe Jaja, who sent us a list of 49 translations from the museum’s private collection. Building on this official list, we verified each copy and quickly added a further four translations, therefore bringing the number to 53 translations, which was still within the publicly available range of 40-60. Digging further into the research, Francesco and I would email our shared file back and forth in what became a daily ritual. “The List,” as we came to call it, was growing rapidly; to see The Prophet translated into such obscure languages like Assamese (Indian dialect), Occitan (Provincial France), Uygur (Xinjiang Uygur Autonomous Region China) and even extinct ones such as Katova or Laghu (Santa Isabel Island -Solomon Islands) was so incredibly astonishing. As we carried on our research, the questions that kept coming to our mind were, “how many more are there?! And what part of the world are they to be found? ?” When we broke the 70 translations milestone, we thought it was time to ring the bells of celebration, but the numbers just kept coming, and week after week we found ourselves adding two, three or even five new translations to the list! “List update: 82! 86!” became typical email subject lines, and when we reached 90 confirmed translations we were both astonished; naturally, we wondered, could there be a 100? Or even more? Was it possible we could hit the magic milestone of three digits? Astonished, amazed and just plain bewildered, we both knew we’d discovered something extraordinary; this would usher in a new frontier with regards to Gibran’s chef-d'œuvre. The official total number of translations to date now sits at 104, a number no one could have guessed, not even the most ardent Gibran fan. As the weeks went by and I contemplated this number, I began to wonder where this placed The Prophet in the rankings when it came to the most translated books. The answer? According to existing lists, The Prophet, with 104 translations, amazingly sits at number 10, just behind the book of Mormon. Even more astonishing is that when breaking down the list, The Prophet has yet achieved another milestone: the only book of prose-poetry to hold a top ten position. This discovery is only the beginning as we have only included first editions of each translation and therefore have reason to believe the overall number could exceed well over 200 translations; for example, we know of 13-15 editions that exist in China alone, another 15-20 in France, and so on. In remembering how profoundly The Prophet influenced my own life and work, it is deeply touching to be able to share the full extent of Gibran’s impact on different generations and cultures around the world. To think that a book which has had little to no promotional support in its 95-year history has reached such a level of readership is remarkable, especially when you measure it against other works with multi-million-dollar marketing campaigns. 32 French - Multilanguage (Andorra) Le Prophète AnimaViva Multilingüe Andorra la Vella 2016 1st ? 68 Occitan (Provençal dialect) Alora una frema… Publié dans Oc, No 51 France [?] 1999 1st Joan-Glaudi Babois; Reinat Toscano 31 Extrait of "The prophet"